The Classic Soundtrack Collection features 18 of Mancini’s most memorable soundtrack albums for RCA, Columbia and Epic Records on nine CDs, spanning the period between 1960’s High Time and 1978’s Who is Killing the Great Chefs of Europe?, and adds bonus material from vocalists including Johnny Mathis, Andy Williams and, on a previously unreleased track, Julie Andrews. A Columbia artist since 1956, Johnny Mathis departed his label home just once – recording some eleven albums (ten of which were released) under the imprimatur of his own Global Records production company between 1963 and 1967, at which time he returned to Columbia. Legacy’s new box set collects all eleven LPs plus two discs of singles and previously unissued rarities, plus a booklet containing album-by-album notes from Mathis. Collected here in one 8-CD or vinyl LP box set for the first time in newly-remastered editions are the artist and icon’s first seven albums. The legendary Miss Mitchell has transformed a sequence of her songs originally intended for the ballet stage into a thematically-arranged four-CD box set which doubles as a highly personal career retrospective. This new 4-CD box set revisits three albums from Don Van Vliet and his Magic Band – Lick My Decals Off, Baby, The Spotlight Kid, and Clear Spot– in freshly remastered editions, and adds a fourth disc containing fourteen previously unreleased outtakes and alternates from Beefheart and his musical cohorts. Nonesuch has two new collections celebrating the 20th anniversary of Chicago alt-rock band Wilco in high style! Alpha Mike Foxtrot, a new box set (4 CDs, 4 LPs or digital), brings together rare studio and live recordings culled from the band’s archives. What’s Your 20, the first-ever compendium of Wilco’s previously released studio recordings, is also now available on 2 CDs or digital. DVD: Amazon U.S. /Amazon U.K.
DVD + 3-LP: Amazon U.K. 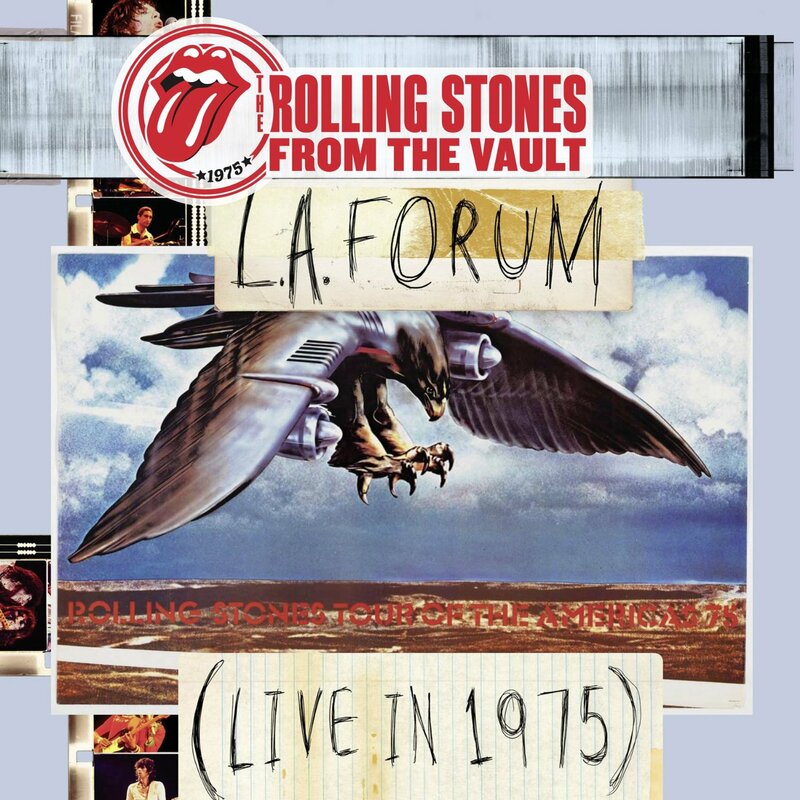 The Stones continue to bring their digital archive to physical media with this campaign of releases dedicated to the band’s 1975 L.A. Forum show! This new release is drawn from the archive of the beloved trio and features 13 songs never before released on a PP&M album. Only one track has been previously issued: “Mi Caballo Blanco,” which was included on the 2004 box set Carry It On. This new limited edition box from the prog legends houses a 24-page “tour booklet” and two CDs of extracts, elements from studio recordings, alternate takes, live tracks, rehearsals & finished recordings from 1969-2014 – many of which are previously unreleased on CD. On 2 CDs and 1 DVD, Edsel compiles rare remixes, B-sides, and 24 promo videos for Jimmy Somerville, Bronski Beat and the Communards! Omnivore’s new 2-CD version of Old 97’s’ 1994 debut Hitchhike To Rhome contains the original landmark alt-country album, plus a second disc of 12 rare and unreleased tracks, many mixed from the original multi-tracks for the first time by longtime Old 97’s engineer Rip Rowan. The double LP (limited edition first pressing on translucent orange vinyl) features the LP on 3 sides with 6 of the bonus tracks on the 4th. The download card included has the complete 2-CD program. Both formats include rare photos, memorabilia and new liner notes! 2-CD/1-DVD: Amazon U.S. / Amazon U.K.
3-LP: Amazon U.S. / Amazon U.K.
Bob Dylan, Billy Joel, Jeff Lynne, Brian Wilson, Cat Stevens, Harry Connick Jr. and Barry Gibb are just a few of the artists who have assembled to celebrate the music of Paul McCartney on this new 2-CD collection. Amazon U.S. and U.K. have two exclusive editions with bonus material on CD and DVD.